Mamie Favor believes in the value of planning to help her clients live the best lives possible. As a financial professional and founder of Integrated Wealth Strategies, Mamie focuses her financial planning skills and expertise on defensive and offensive strategies that help ensure her clients achieve financial security. Many people these days have very complicated financial lives. Mamie simplifies what’s complex so that clients understand their options and make educated decisions that will help them minimize risk and maximize opportunity. Our clients include business owners, executives, high-income earners and high-net-worth families. True to her nature as a go-getter, at age 20, Mamie earned a BA in International Studies from American University. By age 23, she earned a Juris Doctor degree from Tulane Law School and was trying cases a week after graduating. Mamie practiced law for 10 years before moving on to a new career in financial planning. Mamie understood the importance of financial planning when she was very young because she recognized the benefit this type of planning could have provided for her own parents. Having worked with a financial planner, Mamie was attracted to meeting new people, studying their situations, and providing solutions to their financial challenges. “Financial planners are happier than litigators,” she says with a laugh. 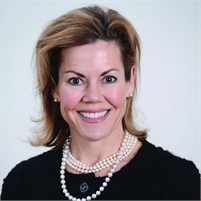 Mamie’s achievements in the financial services industry include membership in The Society of Financial Service Professionals, where she serves on the Board. In 2002, she was recognized by The National Association of Insurance and Financial Advisors as their Member Of The Year. She is active in her local community as a supporter of and/or volunteer with the Women’s New Life Center, the Catholic Archdiocese of New Orleans, Trinity School, St. George’s School and St. Stephen’s Catholic Church. Outside of work and serving the community, Mamie loves spending time at home with her husband Ricky and school-age sons Springer and James. She enjoys traveling with her family, gardening at home, and keeps active by running and swimming.